So as most of you know the band has been sidelined due to Guitarist Pat Catalano health issues. Pat was diagnosed with Hodgkin's Lymphoma. After 6 months of Chemo Therapy and 20 rounds of Proton Radiation Pat is finally Cancer free! We would like to thank everyone who has always stood by the band and showed continued support on our social media sites. As a thank you May 9th we will be offering “Into the Darkness” for .99 cents download. This Monday marks one year since Pat was diagnosed with Hodgkin’s Lymphoma. We also will be launching our new T Shirt shop here on our website in a few weeks. 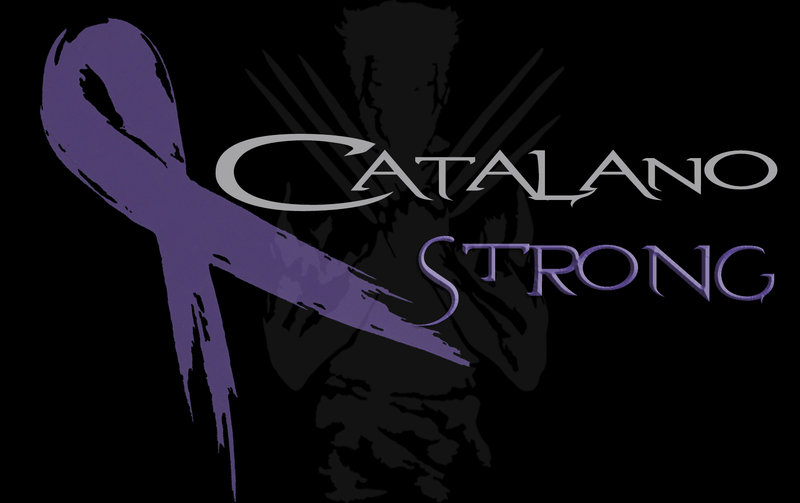 In the meantime here is a link to grab a new Catalano Strong T Shirt and show your support against Hodgkin’s Lymphoma. The shirts are available for a limited time.